Never skip out toner after you wash your face. 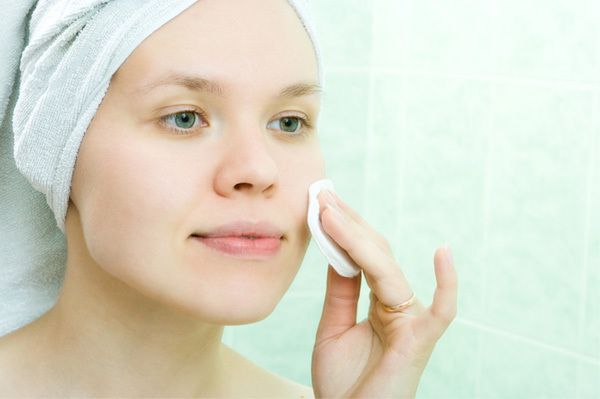 Wet a cotton pad with your go-to toner and dab along onto your skin. This will help your pores to minimize so your makeup won't clog your pores. Your skin needs nutrition. Apply moisturizer evenly on your skin to keep your skin hydrated for the entire day. Especially when you use makeup for more than 8 hours, your skin will get 'tired'. Therefore, moisturizer is another important thing. To prevent wrinkles, apply moisturizers in circular motion from your chin upwards. Add a layer of sunscreen if you're going to stay outdoor, furthermore when you're going to stay out in a broad daylight. You don't want to earn your skin dark spots, do you? I recommend you to use SPF 40-50 on those hot summer days and SPF 30 for cloudy days. When you're going out for a whole day, primer is necessary to keep your makeup in place. Other than that, primers also functions to set up your skin as the 'perfect canvas' for your makeup application. Choose primers that are suitable for your skin condition, for example, matte primers for oily skin, hydrating primers for dry skin, green-toned primers for reddish skin, etc. The most important thing that I learnt through this beauty class was that you weren't supposed to drag along your foundation brush since it would leave streaks. Instead, take an appropriate amount of foundation and dot on 5 face areas (forehead, nose, cheeks, chin). Blend by dabbing the foundation brush (or sponge, whichever you prefer). If you have oily skin, the makeup instructors recommended not to apply foundation on your neck. Why? There's a huge possibility that it would crease. Hence, it's important to choose your foundation in the closest shade to your skin tone. Applying concealer can be tricky sometimes. Use lighter concealer and you'll end up highlighting that certain parts rather than concealing it. It's not a good idea to choose darker shade concealer either. Choose a concealer with the same shade as your foundation. Conceal the dark spots, reddened areas, blemishes, and of course, dark circles! Blend out using your clean fingertips in quick dabbing motion or simply use your clean concealer brush (or sponge). 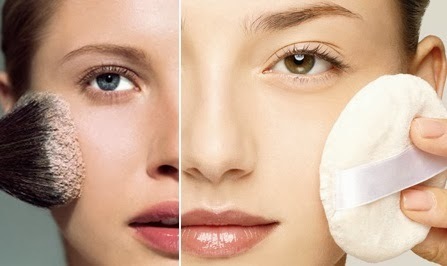 If you want to brighten up your complexion, you can choose powder with one shade lighter than your skin tone. 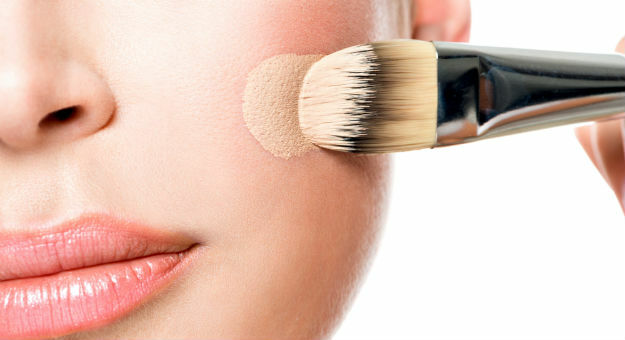 In applying powder, once again, do not drag your brush (or powder puff) since it can wipe off your previous 'layers' of foundation and concealer. Rather than that, dab the brush (in a position showed on the picture) to apply the powder evenly and make sure that it sets your makeup perfectly. Loose powder could be another option and could be used as setting powder for more matte effect if you have oily skin. 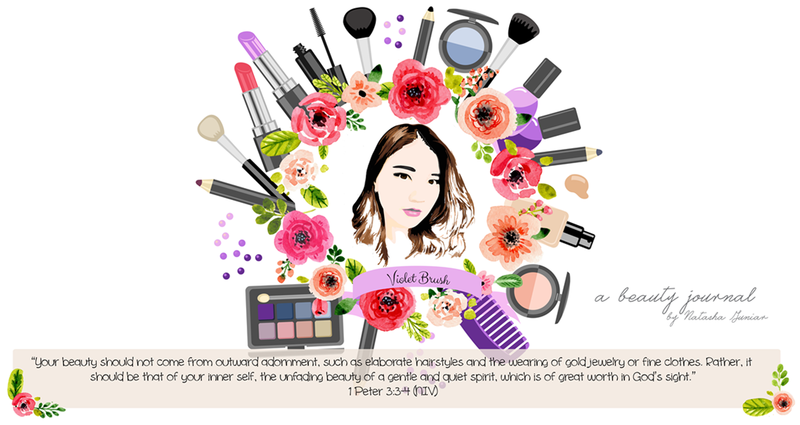 Another thing that I had just come to learn from this beauty class is that it's actually better to do your eye makeup (eye shadows, eyeliners, mascara, and fake lashes) first before shaping your eyebrows (you might have noticed from my recent tutorials, though). For day makeup look, using one eye shadow color is actually enough. Apply the eye shadow up to your eyeball socket (the hollow part if you press your eyelid with your brush) and blend it nicely with another clean brush. The eye shadow color is ranging from warm-neutrals (brown), soft orange tones, or even soft pink tones. Wing out your eyeliner so that your eyes won't look droopy. Don't forget to apply mascara and fake lashes if necessary. I'm sure that most of you have known about this eyebrows shaping techniques so I won't say to much about this. Number 1 is where your eyebrows should 'start', number 2 is the highest arch, while number 3 is where your eyebrows should 'end'. Blush, highlight, and contour techniques are different for many face shapes. The point in contouring and highlighting is to define your face shape better not to make your face looks slimmer. Cheeks contour should start from the area near the ears (which should be quite darker) and blend it outwards. While nose contour should start from your nose tips and blend it up to your nose bridge. Contouring your nose is actually very tricky because once you get it wrong, your nose would look like a 'highway' or as the makeup instructor said 'shading kayak jalan tol'. In choosing the shade for either your foundation or powder for contouring, do not choose a shade which is way too dark from your skin. Just choose two or three shades darker. For day makeup look, it's preferable to choose non-shimmery highlighters if you don't want to look too extravagant. On the other hand, shimmery highlighters are recommended for night makeup look. Applying blush is almost the same as contouring your cheeks. Start from the cheeks area near your ears and blend it outwards where it should look more transparent. Choosing lip colors is based on one's preferences. Look for your go-to lipstick for the day. If you prefer your lip gloss, it's fine as long as it's not that shiny. If it's that shiny, you could apply it just on the inner part of your lips. 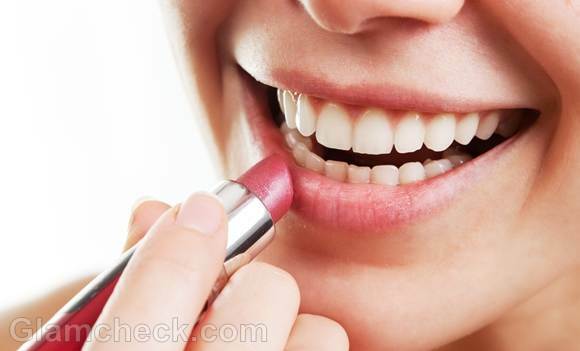 You don't want your lips to become like an oily mess, do you? In case you have a party to attend after work and have no time to go back home, turning your day makeup to a night-and-party-ready makeup could be an option. Simply add a dark-colored eye shadow on your outer V and put on some fake lashes. Don't forget to apply a dark lipstick (or in this case, red might be an option). I accept that applying lip stick I’ll definitely increase your face look better than the others.